Facebook Marketing Tips | Let's Biz Up! Many Home Business entrepreneurs struggle to leverage the power of Facebook, but also Twitter and Linkedin for that matter, to grow their businesses, some good advice therefore is certainly a welcome nudge in the right direction, and in this video of my friend Michelle Pescosolido, she sheds some light on the correct way to post status updates to generate maximum attention and ultimately more leads and more sales for your business. 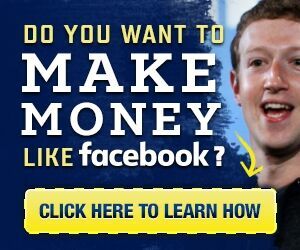 If you want to post an affiliate link in your status update; don’t just post a empty message saying “Learn how to make $10k in 10 days” – people on Facebook get tired of seeing that type of sales pitches, especially if they’re already in your niche i.e home business entrepreneurs, network marketers etc. You need to opt-in in to your own offers and get some golden information/ideas out of it; whether it’s a free webinar, video training, ebook or report. You need to see if it was valuable to you personally before you share it. If you’re promoting an offer that provides no value to you then you are basically lying to your fans or followers. Michelle says; If you’re not using it in your own business then you really have no business promoting it. One of the top Facebook Marketing tips is; don’t just go out there and just pick an affiliate offer to promote and expect people to join you or buy from you if you’re not using it yourself – It might work…, but if you really want to make a difference and get leads and get sales on Facebook then you better be using the product yourself! You must find out how it can improve your business and then go back to your page and post a status update stating that. By putting a status update like this of your Facebook page, you’re now providing a little social proof to the people who are following you. They’ve seen you’ve actually taken a personal interest in looking at it and you’re not just throwing a link up and hoping it sticks. Step outside of your shoes and evaluate what kind of words you are using. Are they strong words with good calls to action and do they provide a lot of value that makes people want to read it? Anyway, there is a lot to learn on how to connect with people nowadays, simply bombarding stuff on your page will NOT work. If you find this information useful and you interested in more of this kind of valuable content or training material, you can register for FREE for one of the webinar we provide at MLSP. For Example a very productive webinar by Diane Hochman. Click this link and get what you need! P.S. Feel free to comment, share, like, tweet, etc.